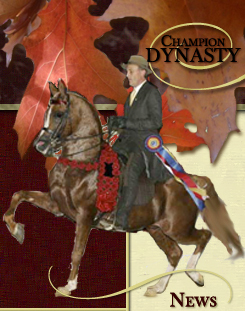 Four years ago, Argyle Arabians, LP donated one breeding to Mark Stinson of Cal Poly Pomona’s Kellogg Arabian Horse Center. 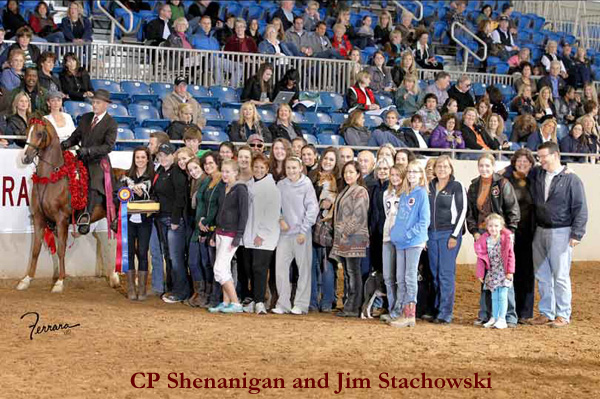 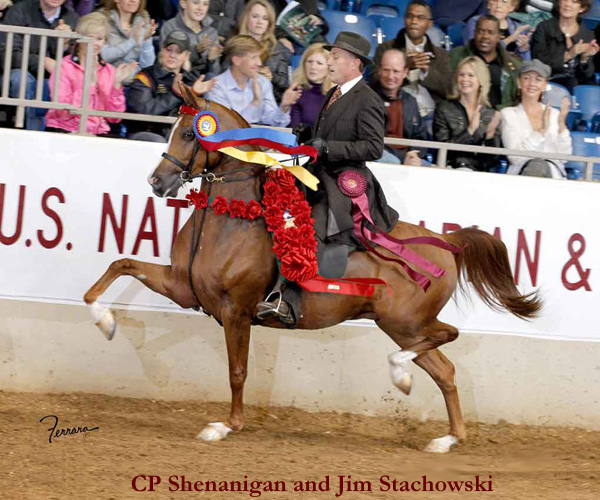 Congratulations to Shenanigan’s new owner Katherine Kirby, of Sioux Falls, SD, on his brilliant performance and Unanimous National Championship in the English Pleasure Futurity at the 2010 U.S. Nationals! 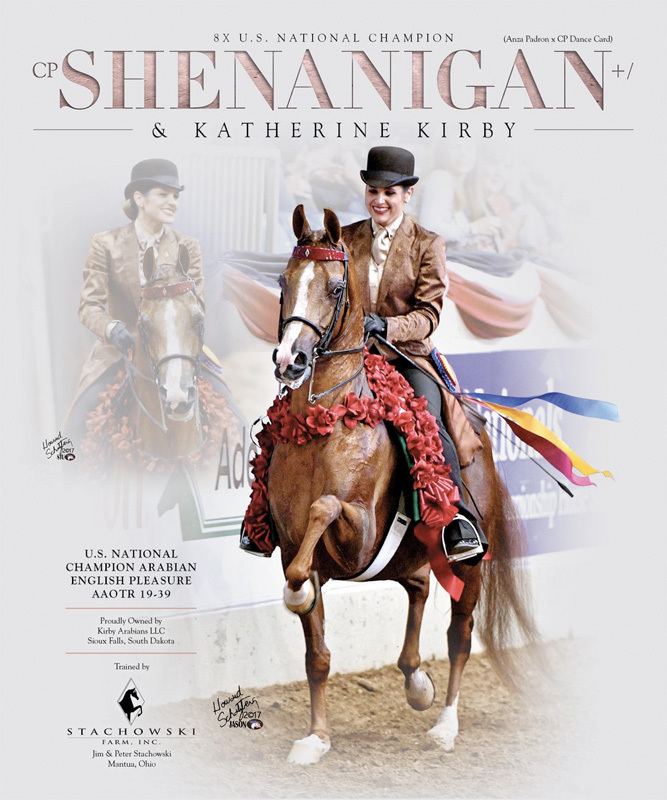 Katherine looks forward to 2012 when she herself will ride Shenanigan into the Nationals arena.